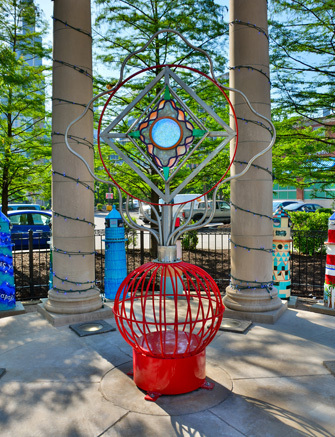 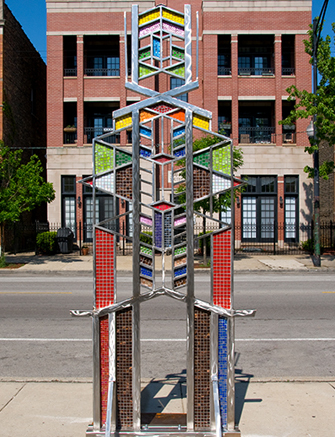 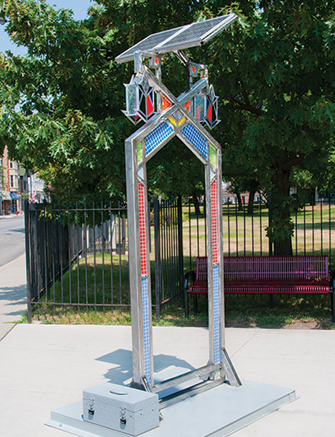 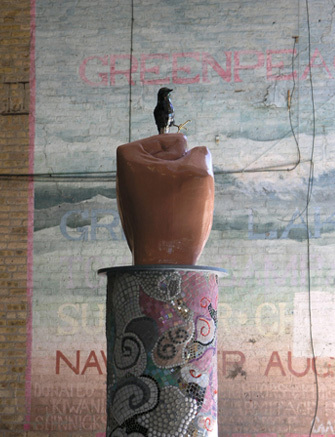 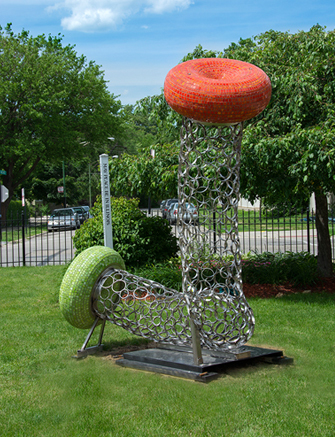 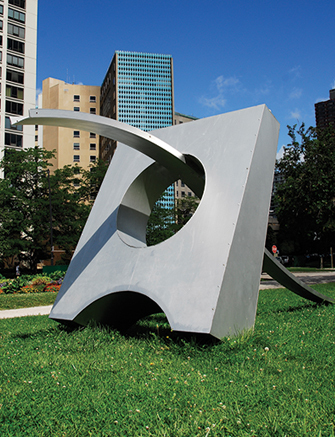 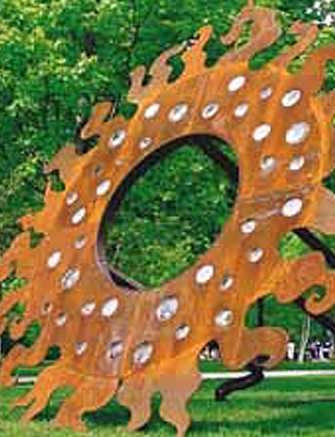 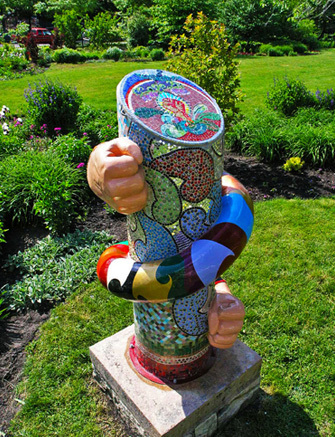 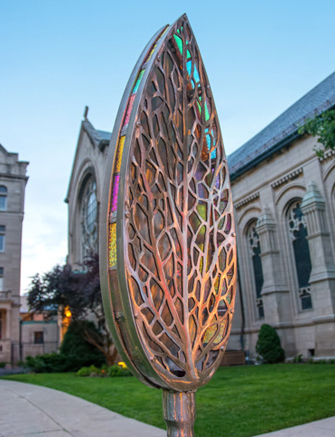 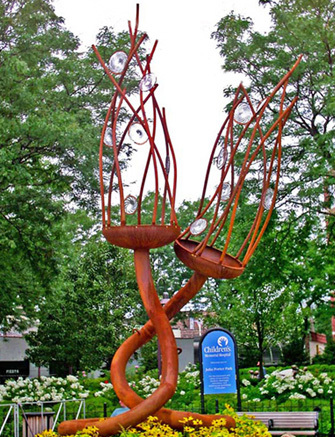 Nicole Beck’s dazzling sculptures have appeared in the Chicago Sculpture Exhibit many times over the exhibit’s years. 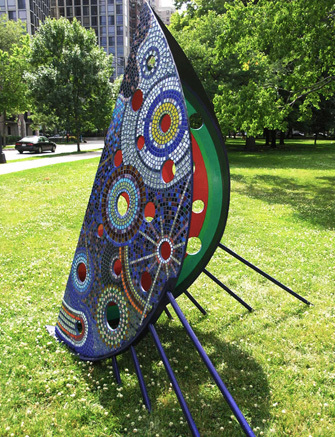 Beck has displayed a spectrum of colors as varied and vivid as the natural vegetation they evoke. 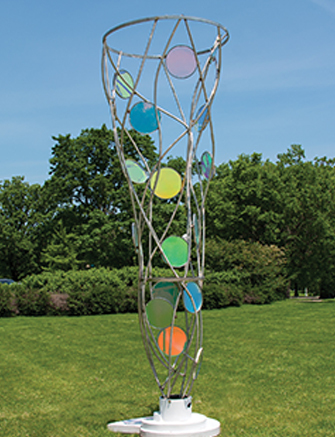 In her current work “Oscill8”, Beck again utilizes her experience with experimentation to twist light and color into expressions of nature’s systems, beauty, balance and ever changing character. 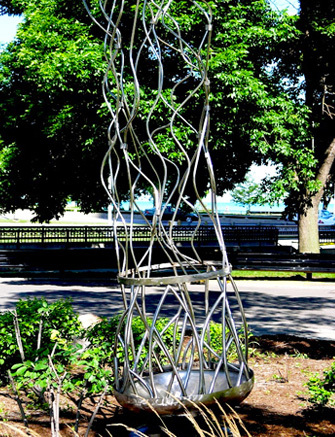 “Oscill8”, Beck says, refers to “the phenomenon of many continuous systems naturally occurring.” Stretched and bending like a wave of light, the sculpture can be seen as a static representation of nature’s ever-altering state.